There are money winners by typing the blog. Adsense is waiting for you in the Blogger control panel. Can be added with a single click. Of course you need to connect to the Adsense site for Adsense and do other operations. 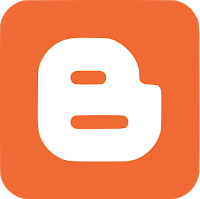 If you are a person who likes writing and loves to share, I recommend using a blogger. If you don't have any websites, it's a good idea to use Google Sites or bloggers. You cannot delete your Blogger Account without deleting your entire Google account. Only then you can delete your blog. The link will take you to the deletion section of your account and you will be prompted to log in. Choose the blog you want to delete. In the left menu, select Settings Other. Under “Delete Blog” next to “Remove your blog,” click Delete blog. After login, the deletion area will open. Start the process after reading the instructions.